As you travel around New York State you will encounter historical markers that were erected through a program of the State Education Department in the years 1926 to 1966. 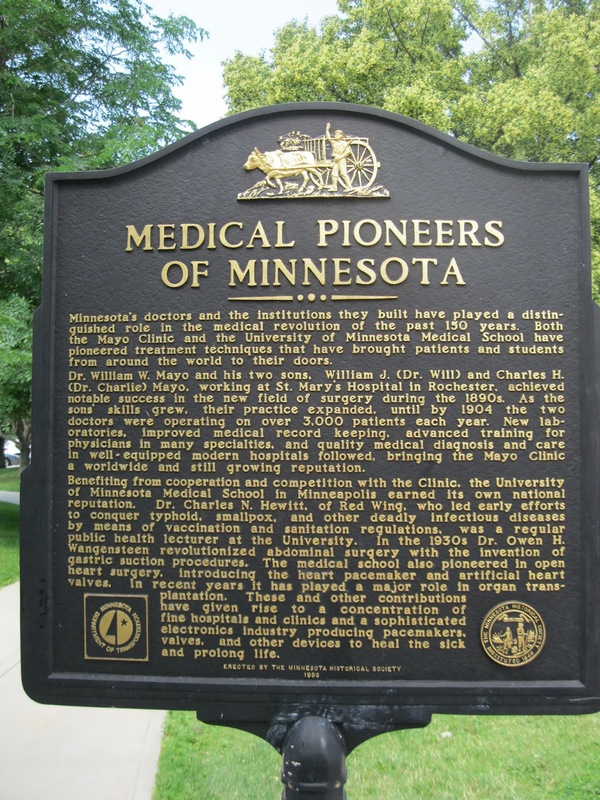 After the program ceased in 1966 there was an effort to maintain a data base of the markers and some associations and organizations continue to erect new markers. During the days of slower traffic it was possible to even read some of the signs. However, to read the signs now you have to stop. In many cases it is a dangerous action because often there is no road shoulder or pull off. With the appearance of interstate highways, New York State instituted a program of erecting larger regional historical markers at highway rest stops where travelers could safely absorb history of a given region. I have become intrigued with reading historical markers wherever I encounter them when I travel. During our across the USA journey this past July I often exasperated my wife with my commitment to reading and photographing them in the various states we visited. And I didn't even stop for all of them I saw!! It is a good thing we kept moving. In the last few months I have had the urge to share the location and information about the New York State Historical Markers with others who might be interested in local history. So I somewhat rashly decided to photograph all the historical markers in Cortland County. My first cut was to search the data base for these markers and print off a list of the Cortland County markers. With list in hand I began the trek to the location of each of the markers to make a photograph and to record the GPS coordinates. My intent was to create a new data base with pictures and GPS coordinates. Here is the irony of this endeavor. By some random chance I Googled Cortland County Historical Markers and discovered that Google Maps had already created a data base of Cortland Country Historical markers with photos and GPS coordinates! My enthusiasm for this new project hit a low point. There are two ironies here. 1. Of all the counties in the whole United States one might select, Cortland County New York is the only county Google Maps has created a data base for. 2. I always warned my graduate students to do a thorough research of the literature before they embarked on a project. Often someone has done the very thing you are proposing to do. Upon further research I also discovered the book, Sure Signs: Stories Behind The Historical Markers of Central New York by Howard S. Ford of Skaneateles, New York. There are no pictures nor are there GPS coordinates given by the author. However, he has provided a narrative history behind hundreds of sites. While these narratives are valuable, there seems to be no coherent organization of the information. Now that I have gotten over my disappointment about pursuing the Cortland County historical marker data base I realize that there are many other counties in New York State that I can visit to create a pictorial data base of their markers. Blog readers, I welcome your nominations of a New York county to work on. At the moment I am considering, Tompkins, Cayuga and Wayne counties. As I complete this blog, I see a whole lot of snow flakes coming down outside. Needless to say this tough old geezer skier is likely to shelve any historical marker project until after the ski season. Happy Thanksgiving and Happy Hanukkah to all!